Jyo saku and regular saki)This sword belongs to Jyo saku ranking. 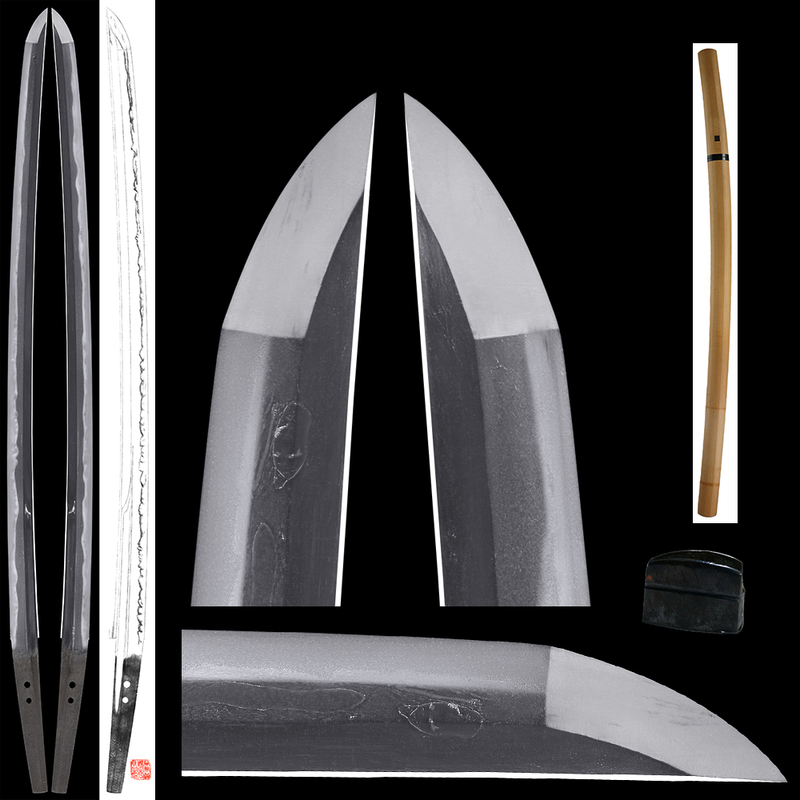 Blade length :　66.7 cm or 26.25 inches. 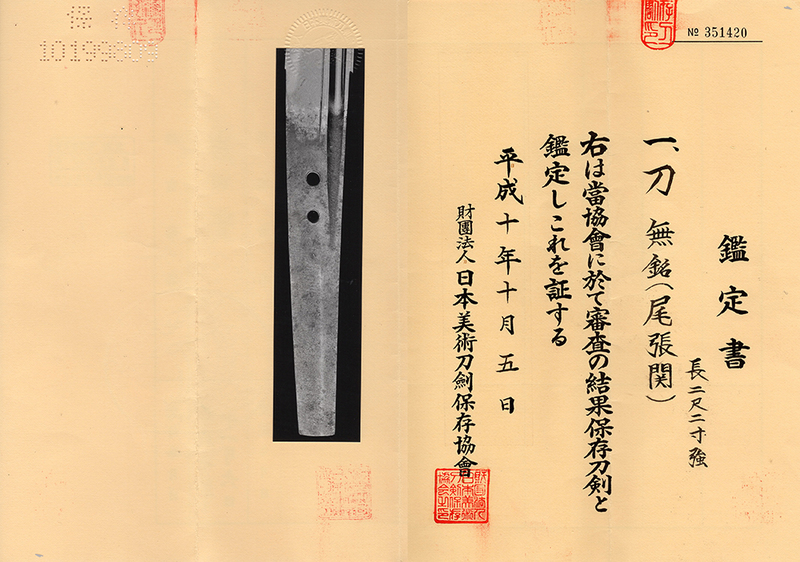 Width at the Kissaki : 2.32 cm or 0.91 inches. Shape : Naganaki shape Suruage Mumei Katana with large Boshi. Hamon: Nie Deki, Gunome Midare, there are duble Ha. There are Ashi and Yo. Bizen province has turned out a great many talented swordsmiths. for the Osafune School though the founder was Mitsutada. It is regrettable that a deluge devastated the School in Osafune districts in Tensho era. and power had been unparalleled, perished in this way in the deluge. This blade looks like Ichimonji style sword. There are a lot of works in Ha. There is Oo-Hada (Umegane) on Sashi Ura side. But it is not serious. The Naganaki Naoshi style nice sword. Katana:Echizen Daijyo Fujiwara Kunitsugu.Motte Nanbantetsu.